Giveaway | Lunden Designs & Fabricworm Team Up! Time for another Giveaway! This week I’m over the moon to partner with Fabricworm to cohost a fantastic giveaway! 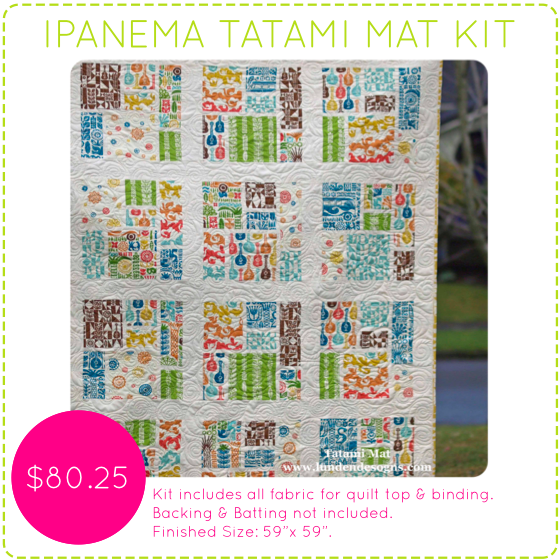 The prize is an entire Quilt Kit for the Ipanema Tatami Mat Quilt AND a $30 gift certificate to my Lunden Design’s Etsy Shop!. ** This Kit contains enough fabric to make the “throw” size quilt. ** Kit does not including batting or backing. Check out the entire Ipanema collection here. This giveaway ends on Sunday 7/13 @ 11:59pm PST. The winner will be contacted shortly after by email. The winner will be chosen by random.org through Rafflecopter. Good luck! This is actually the FIRST Facebook giveaway that I have ever entered! I have watched and watched the Tatami Quilt pattern AND the kit, but have yet to have the funds to purchase. Maybe I will be lucky! Wow – I have a couple of your patterns already!! This is amazing! Thanks for the opportunity! LOVE this pattern and love this fabric. The colors are the best 🙂 You are so creative!! Love the pattern and fabrics!! First time I have entered a giveaway on FB!The giveaway is amazing! Thank you for your great designs! I would make the quilt with the fat quarters – so cute!! I have been ogling the Tatami Mat pattern and would love a chance to try it out. I’d definitely use the Ipenema for it. They’re perfect together. I love this pattern and them fabric would be great to make this quilt. 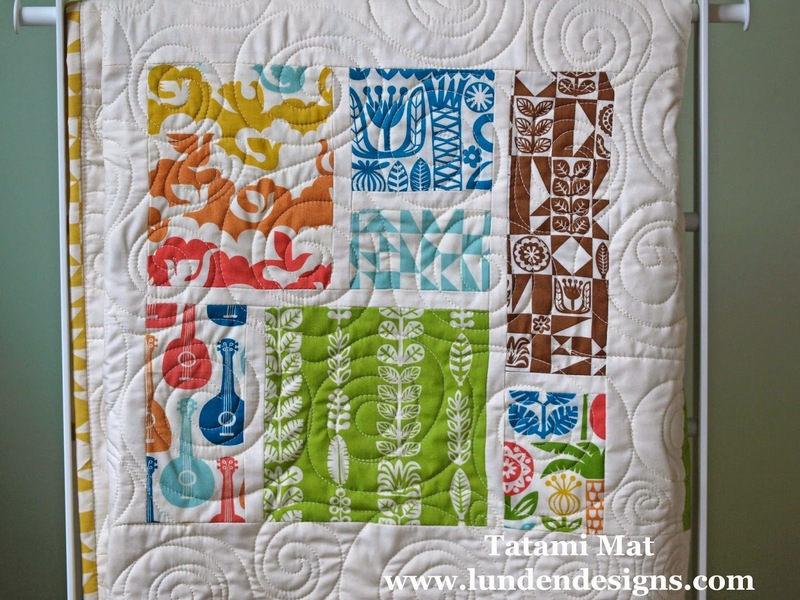 I love the quilt May and have a couple of patterns from Lunden Designs already. I would definitely make this adorable quilt, it really makes the fabrics shine! I have been a traditional quiltaholic since I started quilting twenty years ago. However, the beautiful modern fabrics and new designs are so intriguing and I would love the opportunity to begin with this beautiful pattern and fabric. Love these patterns and fabric. Thank you for sharing.